Pines of Delray. CORNER VILLA !! Great opportunity to buy a 1-story 2 bedroom/2 full bath villa with 1167 under air; tiled kitchen and entry hallway; 2017 3-ton 14 seer AC system; no mirrored walls and no wallpaper to remove! Choice quiet and private location, At least one occupant must be 55+; no co-occupants under 18; no pets except for up to 2 indoor cats; monthly condo fee INCLUDES water-professional security-surveillance cameras-in-unit WIFI-2 HD boxes-HBO-and RESERVES!! 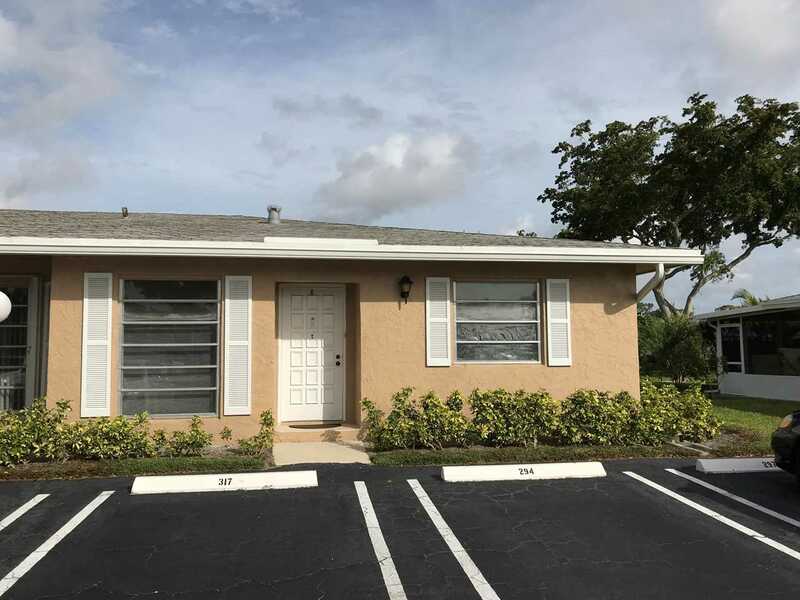 Within the city limits of Delray Beach and only a 2.4 mile drive to the beach. Condo ownership so your roof maintenance & replacement and exterior paint is included. Lot Size: 69.89 Acres / 3044387 Sq. Ft. Directions:Linton Blvd to Homewood..North on Homewood..take your 3rd right onto Juniper Dr, then your 1st left onto Flame Vine and then you're first right onto Pansey Lane. PARKING SPACE # 317 OR GUEST SPOT. SchoolsClick map icons below to view information for schools near 2521 Pansey Lane #D Delray Beach, FL 33445.